New York City … there is no other place like it. On this trip we stayed downtown, in the SoHo area. Our accommodations were at the Four Points Sheraton – a great location, but very small rooms. A 3* hotel. Start your day with a lovely walk along the High Line rail-trail, a two mile elevated path, complete with gardens. Completed in 2014 on the West side and located near the Meatpacking District, it is a very well maintained old railroad track. Very popular in good weather and a new NYC must see. Circle Line Tour – This 2 1/2 hour tour was a bit long but the only way to circumnavigate the island and see the best of Manhattan. 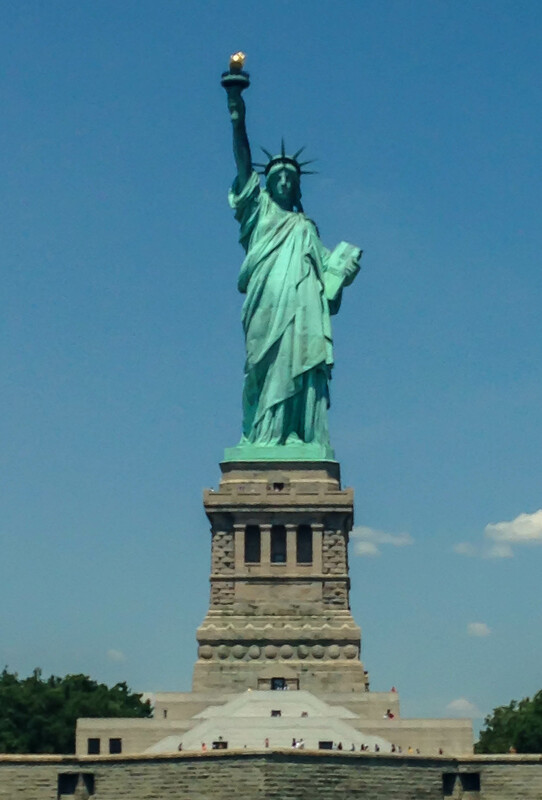 Great views of the Statue of Liberty, Ellis Island, the Brooklyn Bridge and much more. Get to the bow of the boat as quickly as possible after departure for the best views and to avoid the loud but interesting narrator. A visit to Chelsea Market is highly recommended, particularly after walking the High-Line trail from north to south. The market is an enclosed upscale food market/shopping mall in the heart of Chelsea. Try the the Lobster Place for fresh fish and lobster, and don’t forget the chowder. For dessert Sarabeth’s offers some mouth-watering baked goods.